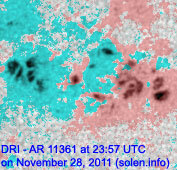 Last major update issued on November 30, 2011 at 05:35 UTC. 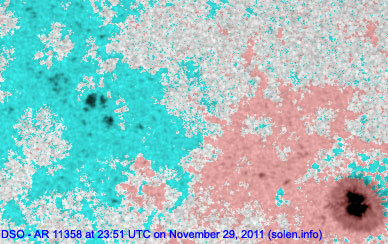 The geomagnetic field was quiet to unsettled on November 29. 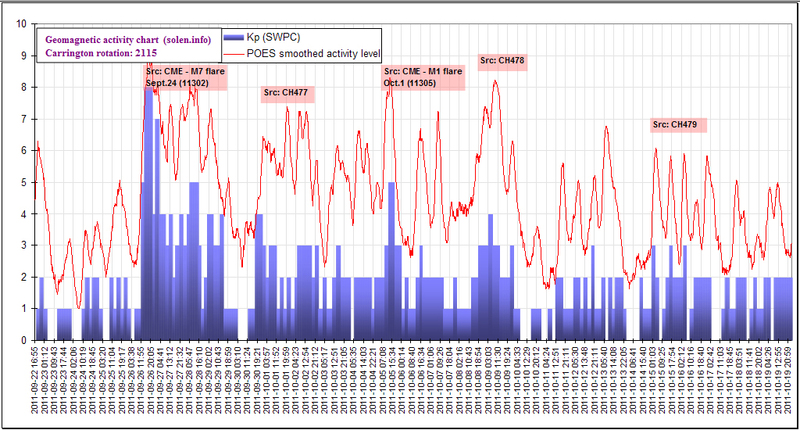 Solar wind speed ranged between 412 and 482 km/s under the influence of CME effects. 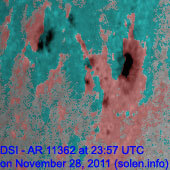 The interplanetary magnetic field was mostly northwards making this a fairly weak disturbance. 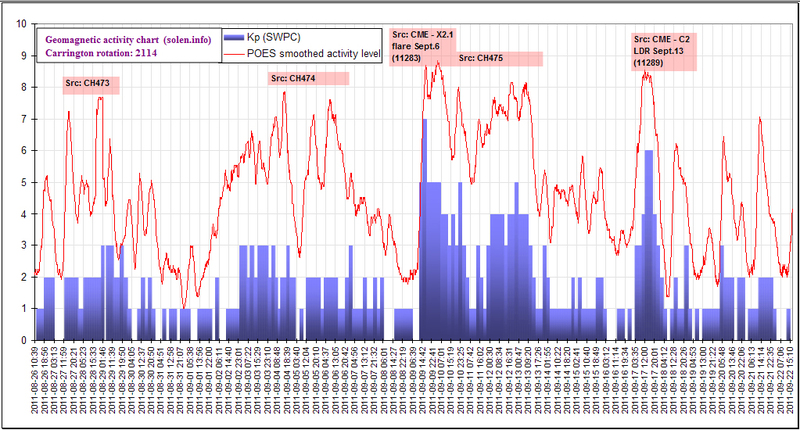 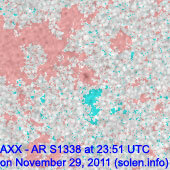 Solar flux measured at 20h UTC on 2.8 GHz was 140.6 (decreasing 13.0 over the last solar rotation). 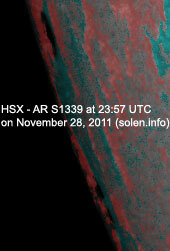 The planetary A index was 9 (STAR Ap - based on the mean of three hour interval ap indices: 8.6). 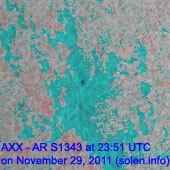 Three hour interval K indices: 33221131 (planetary), 33322232 (Boulder). 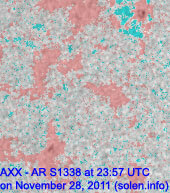 Region 11355 [N15W74] was quiet and stable. 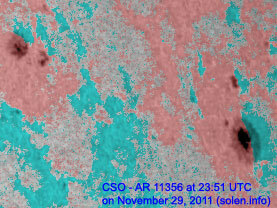 Region 11358 [N22W13] decayed further retaining only rudimentary penumbra on the trailing spots. 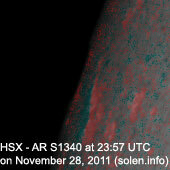 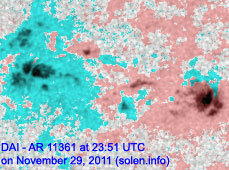 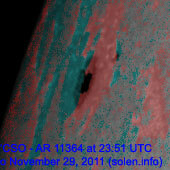 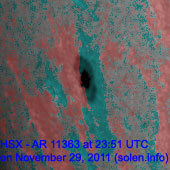 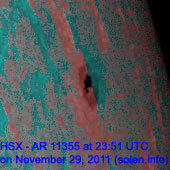 New region 11363 rotated into view at the southeast limb on November 28 and was numbered the next day by SWPC. 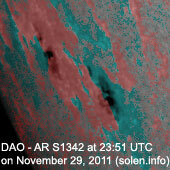 New region 11364 rotated fully into view at the northeast limb. 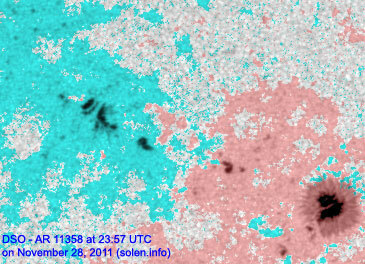 November 27: A filament eruption near the center of the visible disk was observed beginning at 11:12 UTC. 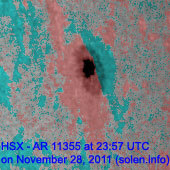 A small and slow moving CME was observed beginning at 11:24 UTC in STEREO-A images, this CME preceeded a larger backsided CME. 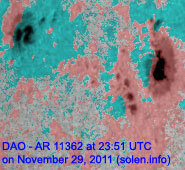 November 28-29: No obviously Earth directed CMEs observed. 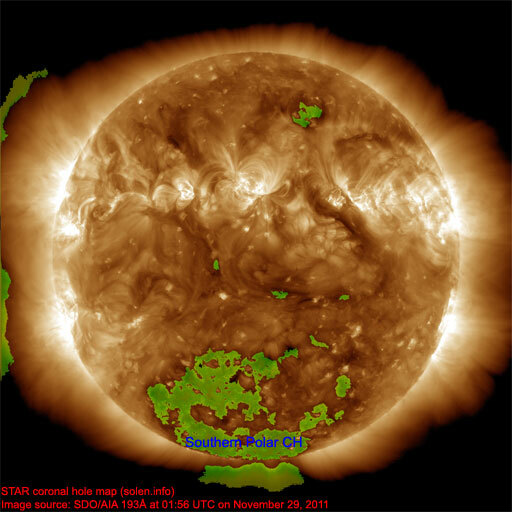 A coronal hole (CH486) in the southern hemisphere was in an Earth facing position on November 26-27. 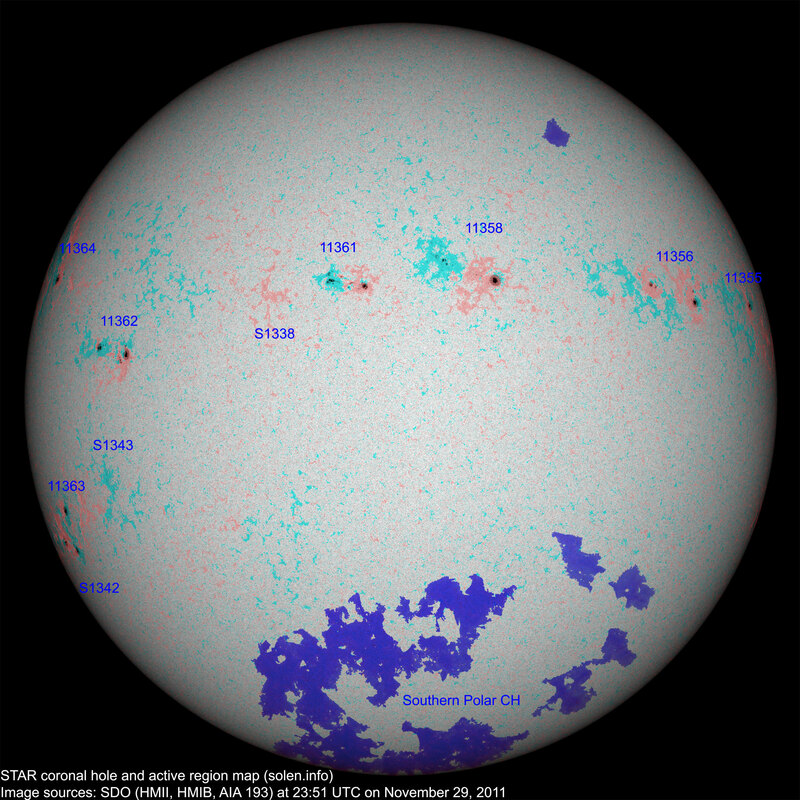 The geomagnetic field is expected to be quiet to unsettled on Nov.30 and December 1 due to coronal hole effects and quiet on December 2.